►Ideal For: This 27 watt light bulb is great for Kitchen, Office, Bedroom, or any room in your house that fits the Linear Quad Replacement Bulb. ►Durable: Being made from high-quality material, this 27 Watt Linear Quad Replacement Light Bulb is quite durable and enduring. 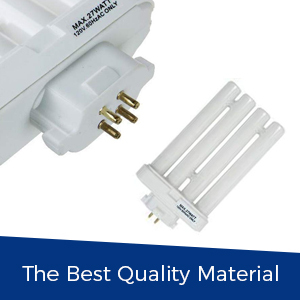 ►The Best Quality Material: Our 27 Watt Linear Quad Replacement Light Bulbs are made from high-quality material. Input - 120v, 60Hz, 4-pin quad bulb, 6500 kelvin color temperature. The bulb requires E 27 holder. ►Energy Efficient: This light bulb is completely energy efficient and probably equivalent to 100W ordinary bulb. 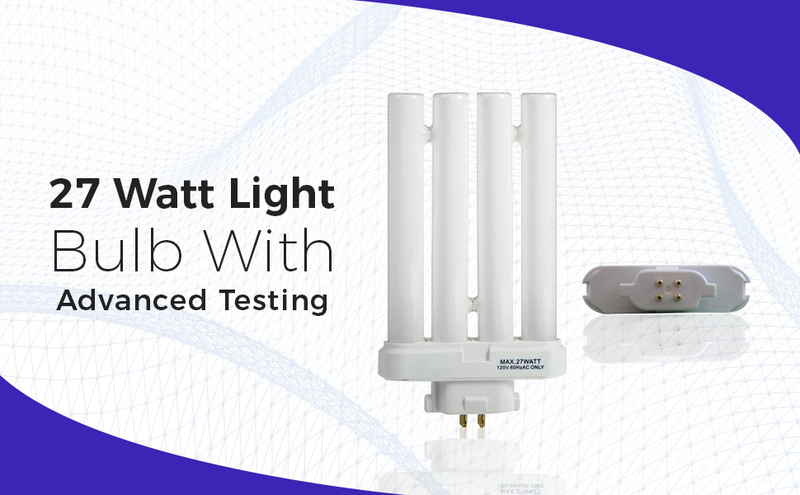 ►27 Watt Light Bulb With Advanced Testing: Our light bulb with 27 watt passed through an advanced testing. Hence, you can use this lighting for any kind of events whether it's indoor or outdoor. 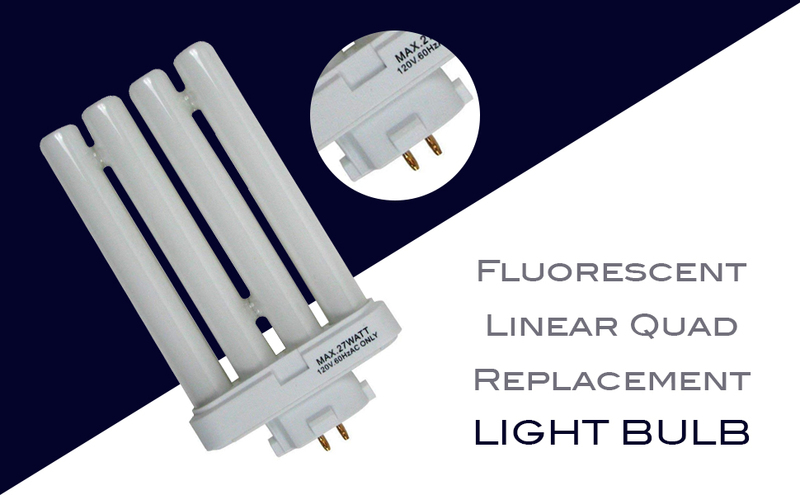 This 27 Watt Linear Quad Replacement Bulb is made from high-quality material. Passed through an advanced testing. Can be used for Reading, Sewing, you can even use this lighting for any kind of events whether it's indoor or outdoor. If you're looking for a light bulb that will surely give you a light of your life, here's your chance. Plus, this light bulb is almost equivalent to high wattage light bulbs that you can see normally in the market. DURABLE: Product with high-quality materials. IDEAL FOR: Kitchen, Office, Bedroom, or any room in your house that fits the Linear Quad Replacement Bulb. THE BEST QUALITY: input - 12v, 60Hz, 4-pin quad bulb, 6500 Kelvin color temperature.